What kind of mouse would go with a cute Asus Eee PC? 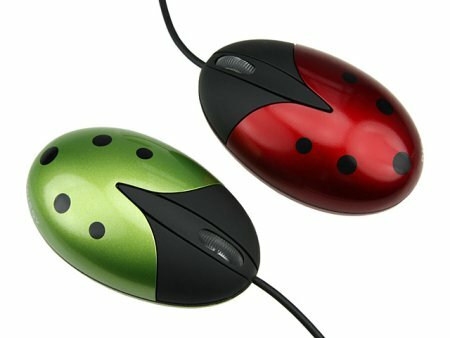 Well, here’s a candidate if you haven’t yet gotten one already – the USB Ladybird Mouse. Available in either green or red colors (I would settle for the latter since that is what ladybirds should look like – a green one is probably suffering from some stomach ailment and hence that monstrous color), this USB-powered device is extremely lightweight and compact in size, making it the perfect traveling companion without weighing you down unnecessarily. Of course, for $14.90 you might actually find something else you like. I’d recommend those with rather large hands to avoid this purchase.